We organize outdoor activities, offbeat and unique. It’s an art. We stretch to give our best to be c...View MoreWe organize outdoor activities, offbeat and unique. It’s an art. We stretch to give our best to be creative, with a wee bit of madness so you can cherish the experience that’s incomparable. We weave in art and local cultural festivities in our trails that showcase the best of what nature has to offer. Add Ventures Unlimited created a trip. 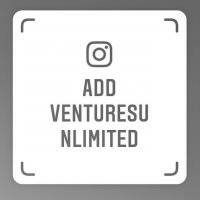 Add Ventures Unlimit likes this.